When Temple Sholom members and friends come together May 5, they will celebrate decades of community-building by two honourees. They will also catch a glimpse into the future, as an annual award is presented to two young people with big dreams. architect Cornelia Oberlander being honoured. 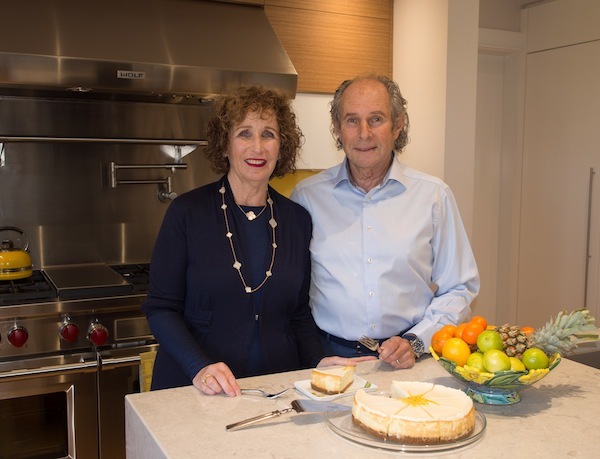 This year’s honourees are Susan Mendelson and Jack Lutsky, a couple whose lives and careers have focused on building successful businesses and making philanthropic contributions. 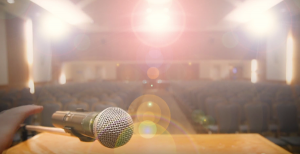 At the same event, the annual Temple Sholom Teen Tikkun Olam Awards will be presented to young people with visionary plans for making the world better. This year, the co-winners are Sam Albert and Liana Gerber, and they will be featured in an upcoming issue of the Jewish Independent. Mendelson is best known for the culinary empire she has built over years as a founder of the Lazy Gourmet and as a food commentator, caterer, author and business leader. Her husband, Jack Lutsky, has an equally stellar resumé as an architect and businessperson. Lutsky, who was born and raised in Edmonton, attended the Technion, in Haifa, Israel, and completed his studies at the Architectural Association School of Architecture, in London, England. He moved to Vancouver to begin his career and soon opened an eponymous architecture firm. An addition to Temple Sholom in the 1990s, in which classrooms and flexible meeting spaces were added above the driveway, was designed by him. In addition to a few churches and other institutional projects, Lutsky’s portfolio includes many commercial and retail projects. He was also the architect for the Holocaust memorial located in Schara Tzedeck Cemetery. Lutsky’s philanthropic work includes serving as chair of the board of Jewish Family Services, involvement in Jewish Federation of Greater Vancouver, serving on the Temple Sholom board and heading or co-leading many fundraising campaigns, including a retirement event for Cantor Arthur Guttman that raised more than $100,000 for the synagogue. Lutsky was also on the transition committee when the synagogue’s Rabbi Philip Bregman retired and current Rabbi Dan Moskovitz assumed the post, and helped raise funds to ensure that Vancouver’s high cost of housing would not affect the synagogue’s ability to hire the ideal candidate. Mendelson’s life has been devoted to food and philanthropy. Born in Toronto, she came to Vancouver for university and began baking treats for sale at intermissions at the Vancouver East Cultural Centre. This was the genesis of Mendelson’s professional food career. A co-founder of the Lazy Gourmet, an iconic local caterer, she has been a regular media commentator on food, is the author of 10 cookbooks and has mentored countless up-and-comers in the sector. Her community work includes serving as honourary board chair of Big Sisters BC Lower Mainland, chairing Federation’s women’s campaign, serving on the dean’s advisory board at the University of British Columbia and being founding chair of Arts 149, whose mandate is to present contemporary performing arts that innovate and inspire new professional community arts practices. Already famous locally, Mendelson was featured last month in the New York Times, which credited Mendelson in part for the popularity of the Canadian dessert Nanaimo bars. The couple joined Temple Sholom in the 1990s and they agree it is a relationship they are thrilled to nurture. “It’s been a good move for us and we really love the congregation,” Lutsky said. Agreeing to be honoured at this event is really a chance to strengthen Temple Sholom, added Mendelson. The couple promises some unexpected components of the event, which is envisioned as more laid back than a typical formal gala. Mendelson is especially excited about the tie-in with successive generations through the Teen Tikkun Olam Awards, which was envisioned by Moskovitz and is funded in perpetuity by Michelle and Neil Pollock. To encourage a younger audience, the event offered half-price tickets for people 30 and under. Helen Heacock-Rivers who, with Karen Gelmon, is co-chairing Dreamers and Builders, said the event was almost sold out. Heacock-Rivers lauded Mendelson and Lutsky for being hands-on in promoting and planning the event. Because many younger members are moving outside of the city proper, outreach programs to suburban congregants and potential members will be funded with revenue from Dreamers and Builders. Upgraded security at the synagogue is another project earmarked for funds.